Welcome to the latest edition of Looks from Books, which aims to prove that you can look smart, while still being book-smart, too. This week, I’ll be covering a classic children’s story that most of you probably read in elementary school. (At the very least, you’ve probably seen the movie!) Read on to learn all about the Roald Dahl book Matilda and check out some looks inspired by the story. 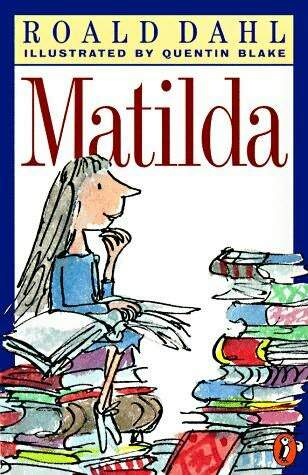 Matilda was the original bookworm! At the tender age of three, she taught herself to read and began to realize she was incredibly gifted. She began adding huge sums in her head, absorbing information, and moving items with her mind all by the age of four. Throughout the story, her intellect alienates her from her greedy, materialistic family, but she finds solace at school and the library. While at school, she befriends Miss Honey and other kind-hearted people, while also encountering the violent and scary Miss Trunchbull. The story was originally published in 1988 in London, with Quentin Blake’s quirky illustrations. Since then, Matilda has been converted into a film and a musical. As a tribute to Roald Dahl and his brilliant works, the Roald Dahl Children’s Gallery was built and established to stimulate children’s interests in science and literature. Before Roald Dahl gained worldwide renown as one of the best writers of children’s literature, he served in the British Royal Air Force during World War II. Matilda is one of my favorite characters from childhood. It’s impossible not to love her for her tiny, telekinetic, bookwormy self! Not only does she have great taste in books, but she’s always willing to stand up for what she believes in. Even though her parents are con artists, Matilda is incorruptible and only uses her powers for good and helping others! 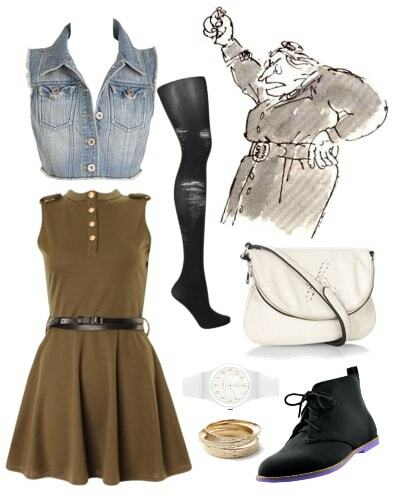 Take a page from Matilda’s style book with this look. 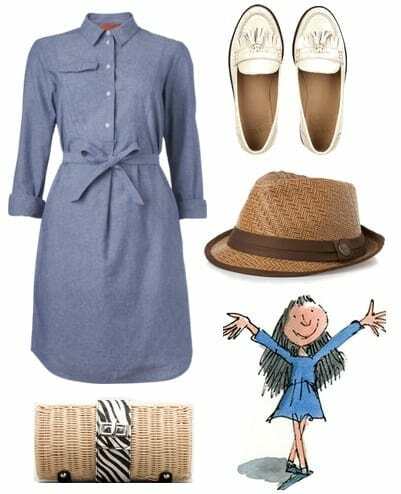 A denim chambray shirtdress is casually cute when worn with preppy white boat shoes. The fun zebra detailing on the wicker clutch adds a little zest to this fun daytime outfit. This look would be perfect for going to go do a volunteer project! After all, a good deed is a great way to end these last few days of summer… and Matilda would agree! The sweetly sophisticated Miss Honey is Matilda’s best friend, confidante, and eventual guardian. Her refined tastes and gentleness make her a hit with all the students, and she always manages to stay positive, despite the difficult life she’s had. At the end of the story, Miss Honey finally gains the courage to join Matilda in standing up to the evil Miss Trunchbull. Mirror Miss Honey’s girly, feminne tastes with this summery business casual outfit! Combine current trends and conventional office wear by mixing a peach pencil skirt with a “honey”suckle belt and a zany peplum top. Because the skirt and the pumps are both solid colored (note the capped toe, another great trend! ), the blouse acts as a springy, lively addition. A cute statement case for your spectacles is the final flourish. The evil and slightly sadistic Miss Agatha Trunchbull derives joy from making the lives of her students as miserable as possible. If you’ve ever had a particularly mean teacher, multiply that experience by 10 and you’ll have Miss Trunchbull. As headmistress of Crunchem Hall Primary School, Miss T runs the academy like a twisted boot camp, throwing hammers and locking her students in tiny closets lined with nails and needles. You don’t have to be as tyrannical as “The Bull” to rock the military trend. A camo green skater dress with brass buttons and a high collar is one half girly and one half army general. A distressed denim vest and ripped tights add to the toughness factor, but are balanced by a delicate set of bangles matched to a utilitarian white watch. Combat ankle boots finish the look. Which outfit is your favorite? Did you read Matilda, or any other books by Roald Dahl as a child? Who was your favorite teacher in school? 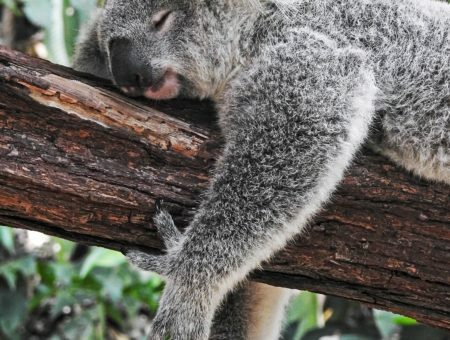 Did you ever have a teacher/professor experience that wasn’t so great? Share any thoughts, suggestions or comments below!